Knowing that steel is the spine of innumerable products, Chandan Steel Limited has been equipping itself regularly with finest technology. Not every process is visible to the outer world; but the products go through stringent stages for bridges, railway tracks, rods, arcs and much more that is visible and available as stainless steel in this country. Chandan Steel Limited’s stainless steel is now crossing national boundaries to support grand infrastructure projects abroad. Today their products are used in major construction projects. 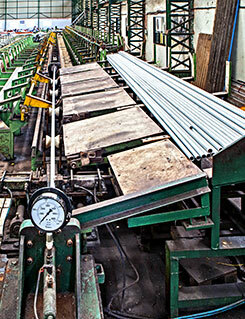 Implementing innovation, whenever and wherever possible, Chandan Steel Limited has time and again redefined their capability to complement the process of development. From introducing breakthrough technology, in collaboration with their research and development team; Chandan Steel Limited also continues to adapt to new demands of new businesses every day. Serving their customers, based on their demands, they are the most preferred name for constant business. Future ready in every sense, the stainless steel plant in Umbergaon is a multi hub of sorts to deliver to the world. In pursuit of excellence, Chandan Steel Limited chose Umbergaon as the base to embark on a new era of success. The plant spreads across an extensive area of 2,50,000 square meters. Concerns revolving around environment being of vital interest to the thinking minds of Chandan Steel, installing 4 windmills with a capacity of 5.25 MW was an ideal decision. The generated green energy accounts for 20% of the total energy consumption. 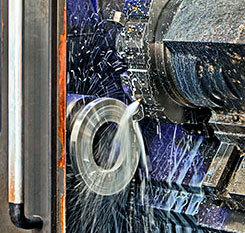 The reason, Umbergaon was made the manufacturing base, was its proximity to Mumbai and a gifted premise in Gujarat. Reachable within 2 hours of driving from Mumbai’s International Airport, Umbergaon is also known an emerging town of possibilities in South Gujarat. 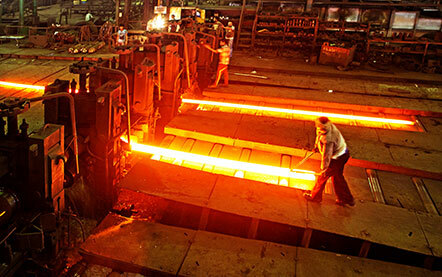 The plant is well connected with top notch facilities and continues to stay on par with the principles, Chandan Steel Limited believes in. The Research and Development team at Chandan Steel Ltd have believed in the concept of continuously enhancing existing facilities. This involves putting profound knowledge to good work and implementing the norms that lead towards growth. For years, Chandan Steel Limited have maintained the tradition of concentrating on installation of state-of-the-art equipments, steadfast infrastructure and delivering quality material to world renowned customers. Highly commended to be one of the most productive plants in India, Chandan Steel Limited continues to grow, based on its learning and adapting to change.